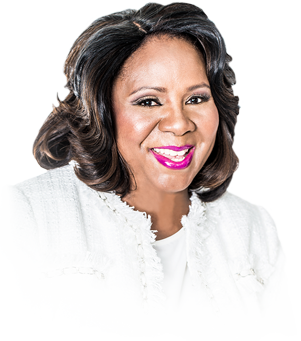 First Lady Serita Jakes is a celebrated author and performing arts principal, as well as the director of The Potter’s House WoMan to Woman Program and visionary leader of the God’s Leading Ladies (GLL) Life Enrichment Program. Mrs. Jakes launched the program in 2003, overseeing its growth into a widely recognized series respected by ministries and organizations worldwide. Additionally, as a mother, grandmother, wife, and ministry leader, among other roles, Mrs. Jakes leverages her faith and extensive knowledge to aid women and children concerning delicate issues. From domestic violence, sexual abuse, abortion, and breast cancer, among others, Mrs. Jakes seeks to empower women and children to not marginalize their pain, but rather obtain the professional care they need. In 2016, the Genesis Women’s Shelter presented Mrs. Serita Jakes with the Jane Doe Award, which celebrates leaders assisting the “Starting over Ministry”. This ministry is designed to aid women and children in escaping the thralls of domestic violence. For abused women seeking encouragement, reading The Princess Within, an autobiographical book penned by Mrs. Jakes, will aid in your recovery process, and ultimately, embolden you to lead a beautiful life. 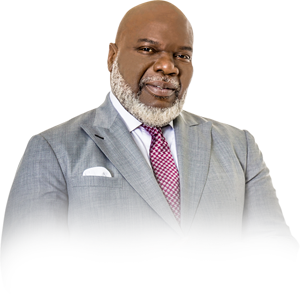 Bishop T. D. Jakes, a charismatic leader, visionary, and successful entrepreneur, is the senior pastor of The Potter’s House, a global humanitarian organization and 30,000-member church in Dallas. Named “America’s Best Preacher” by Time Magazine, Jakes’ voice reverberates from the world’s most prominent stages. Through a nexus of charitable works, T.D. Jakes extends a hand of help to the needy, heart of compassion to the hurting, and message of empowerment to the oppressed and disenfranchised. Beyond the pulpit, Jakes ranks among the 25 Most Influential African Americans, Britain’s 100 Most Influential Black People, and EBONY‘s Power150. His worldwide impact can be felt through a media empire spanning film, television, radio, best-selling books, and conference series. His film, Jumping the Broom, broke opening weekend box office records, ranking as the #1 comedy and #3 in overall revenues. Burgeoning entrepreneurs can glean invaluable insights about investing, marketing, and more, from Bishop T.D. Jakes’ highly anticipated book, SOAR! Build Your Vision from the Ground Up, scheduled for release on October 10, 2017.